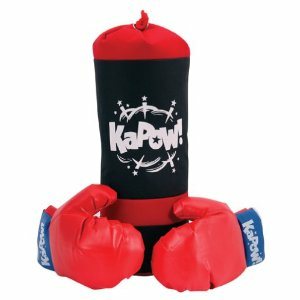 This punching bag and gloves are perfect for your little boxer. It includes vinyl gloves and foam filled punching bag. Bag measures 18" tall and includes a rope to hang it up with. Gloves are red and punching bag is black and red. It is for ages 7 and up.